( Feb 22, 2016) This shop started trading in 1966 and rode the crest of several waves until it closed just a few years ago (2013?) 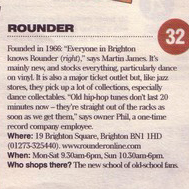 During the 80s and early 90s it was mainly known for selling dance music and hip hop. Fatboy Slim and Midfield Genral are well known for once working there. When the bottom started dropping out of House it went back to selling more mainstream pop and rock... but I always found good stuff in the racks at good prices. The staff were always good for a chinwag too. 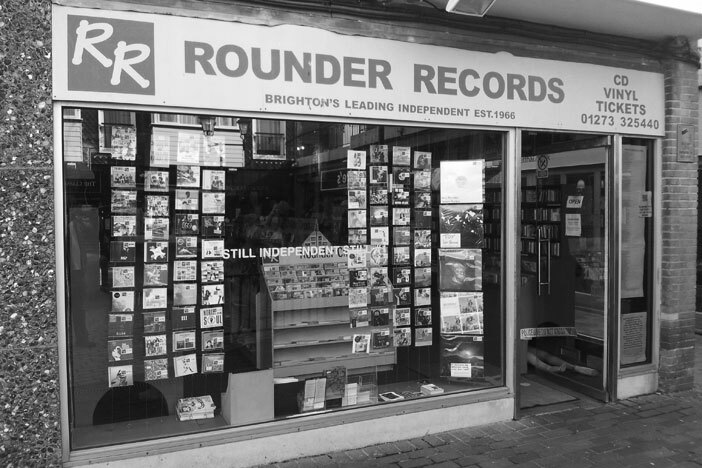 I did a brilliant deal in there once, towards the end of the shop's life, when I bought the entire contents of their January CD sale for not very much money. 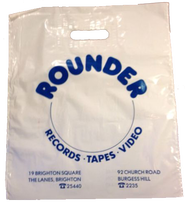 The same guy who owns Sister Rays in Soho also ran Rounder - but decided it wasn't making any money... hence the sad closure in 2013. Comment: Michael Bradshaw. Skint records crew Damiam Harris (Used to work in Rounders Records before getting a spot as a back room DJ at the Zap club. He then became a journalist at I-D and DJ magazines before becoming head of A&R at Loaded Records.) & Norman Cook ( Fat boy slim) also worked here.